These 5 Online Cake Deliveries In Gurgaon Will Save The Day! Forgot An Important Occasion? 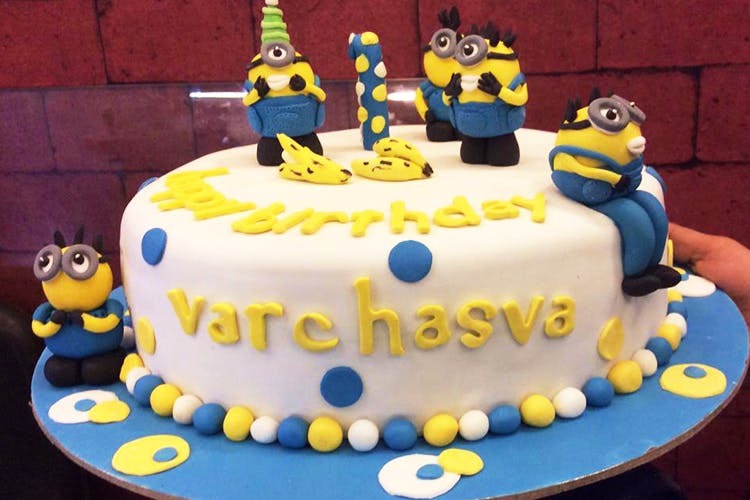 These 5 Online Cake Deliveries In Gurgaon Will Save The Day! Never miss an important occasion or ignore the craving for cake again because you can order cakes online from these 5 bakeries. Based out of Gurgaon, Bakers Oven is great for when you need a cake and you need one now! They make tea cakes, cream cake, fondant cakes and a variety of cheesecakes too. However, usually when you need a cake in a rush, it’s for an unintentionally overlooked occasion, so play it safe and choose from their selection of ornamental cakes which come in a variety of shapes. We love the Belgian Chocolate, Cappuccino and Oreo flavours. A bakeshop in Gurgaon, Tasty Tweets have taken their cakes online, just in case you can’t drive over to them. They even deliver at midnight and you can add flowers to your order as well. Choose from the usual, chocolate, pineapple, black forest or go gourmet with their exclusive cakes and cheesecakes – we like the sound of fresh mango and red velvet. A favourite in Delhi, Whipped delivers cakes to Gurgaon on the same day provided you order in the morning. Don’t miss their Coco Kahlua Mousse Cake, New York Cheesecake and the Red Velvet. Not too many options for fondant and designer cakes but if you’re more old-school, then these are the guys for you! Specialising in large cakes and photo cakes, Bakingo is a group of bakers who’ve taken it upon themselves to make your occasions memorable. All you have to do is choose your city, since they deliver in other parts of NCR, choose the cake you want and go ahead and order. You can also club add-ons like balloons, flowers and cards to make the cake a complete gift. With rather competitive pricing, choose from cakes like Rocher-Aholic’s Fantasy, German Gateaux and Tiramisu; they also have quite a few eggless choices. Two years into operations, Cakestory has become the go-to place for ordering cakes online. Choose a cake, select a date and time and then all you need to do it wait. You can choose from tea cakes, cream cakes and cheesecakes, but if it’s a truly special occasion, check out their designer cakes, both fondant and cream. These are usually theme-based, but the Candy Blast is a fail-safe, yummy option.